Fire crews in Merseyside and the West Midlands have been doing their bit to tackle carbon monoxide poisoning by embarking on a study of the deadly killer in an effort to reduce the number of victims who fall prey to the toxic gas. The operation has seen crews paying a visit to more than 20,000 homes to record the levels of carbon monoxide present in the properties. ﻿﻿ Some 17,649 properties were targeted in Merseyside, and of those a worrying number – 15,576 to be precise – did not have a carbon monoxide alarm fitted. As part of the study – which aims to give a clearer understanding of carbon monoxide poisoning and its deadly effects – around 1,200 homes in Liverpool will receive free carbon monoxide alarms, which will enable readings to be taken every two minutes over a two week period. The study is set to be the biggest of its kind ever undertaken in the UK, with previous similar research only ever having tackled 500 or 600 properties. Dr Andrew Shaw, of Liverpool John Moores University said the study was very important because it will show exactly how many homes do not have carbon monoxide alarms fitted, which in turn will provide a true figure when it comes to the potential risk of CO poisoning. “The impact on people’s health may well be underestimated because of this lack of knowledge,” he added. 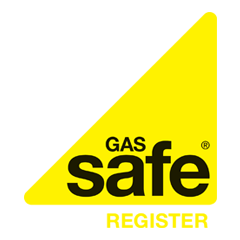 Every year around 50 people die as a result of accidental carbon monoxide poisoning, which can be omitted from a faulty boiler or a gas fire. Unfortunately, because the gas is odourless and colourless, it is extremely hard to detect. Which is why every home should ensure that their gas appliances and central heating systems are properly fitted and maintained, and why CO detectors are as vital as smoke alarms in the home.